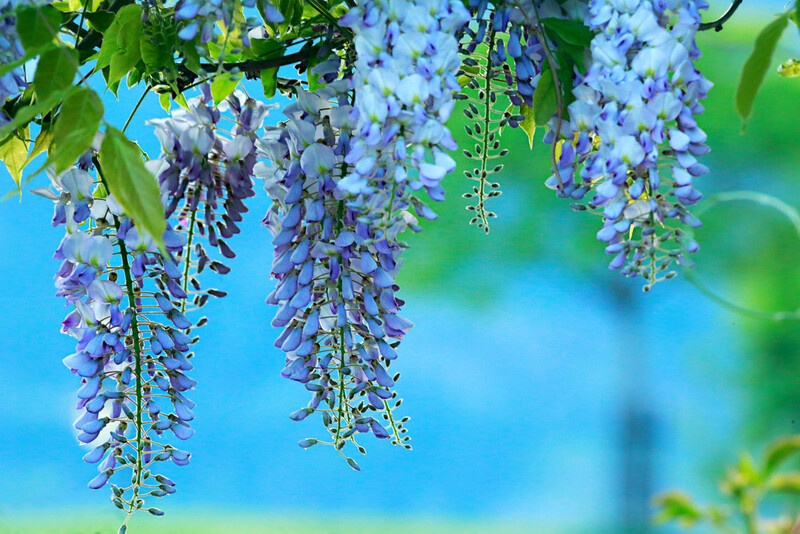 The pleasant fragrance and delightful colouring of the wisteria seems to draw people. So enjoy this time of year. Great pleasure created by the contrast between the colors of the flowers in the background; it reminds me of my childhood when we had a wistaria on the patio and we set there reading. Fav! It is such a pleasure to find such pretty scenes and then to get it on camera. Thank you so much for your comments. I enjoy reading them and seeing how I can improve. I would like to sit and read by the wisteria - sounds lovely. Such pretty flowers. This is a lovely composition with beautiful colors! I've enjoyed looking through the images in your album.